I've been given permission to share all or part of this post on my blog today, and I am so excited. I've known Dana casually since 2009. We were in the same church group together, and even then, her tenacity for life inspired me. Recently, she wrote this post on her blog, and it struck a deep chord within me. I'm paraphrasing parts of it, and sharing excerpts of my favorite sections because only she can say it the right way. To read the full post: Click here. Dana lives for the outdoors. If you follow her on Facebook, you'll see this. She's also a beloved ex-high school drama teacher, and a free spirit. She just does what makes her soul happy, and makes it work. This is such a profound way of life, and example of living. I have always been a worrier, and currently my husband has quit his corporate job to make his living a creative way, and while I was in full support of the job change, I've been a little crazy in the stress department. I like to think I'm a free-spirit in some ways, but in others I'm a tightly-wound stress case. When I read her words, it hit the free-spirited side of me, and said, "Lana, just relax. Do what makes you feel joyful, and persevere through the worry. Don't let the worry stop your forward movement." 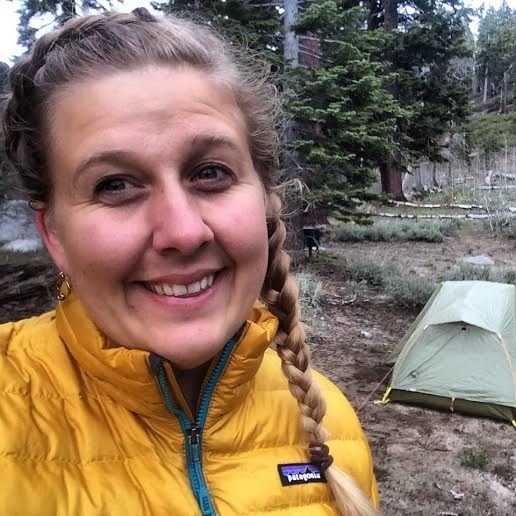 As she writes about planning to hike the Pacific Crest Trail (some of you may recognize it from the new movie Wild with Reese Witherspoon and the non-fiction book by Cheryl Strayed -- written about here on the PCT website), she talks about a serious health issue. One that causes her to faint in certain circumstances and her heart will literally stop beating for almost half a minute. Her doctors urged her to quit these life-altering plans she had made. She'd already quit her teaching job, and was determined to tackle this mile-stone in her life. And then I had the final of all my cardiology tests. After a dramatic faint back in February, my primary care physician suggested I see a cardiologist. He ordered a series of tests--holter monitor, treadmill, echocardiogram, and finally, the tilt table test. I had passed the first three with flying colors. The tilt table tests for neurocardiogenic syncope. They hook you to a table, monitor your heart, and tilt you to an angle that induces fainting. They watch the behavior of the heart. This affects a small percentage of the population and of them a small percentage experiences flatline of the heart, 3-30 seconds. I fainted quickly and my heart stopped for 18 seconds. It just stopped. It started up again on it's own, but the cardiologist (claims that he) had never seen a reaction so long and dramatic. The nurses were buzzing. I woke up fuzzy to a voice telling me I needed to cancel my trip to London and cancel my trip on the PCT because I need to get these things sorted out. He mentioned a pacemaker and I began to cry. Things needed to get sorted out NOW because I have a little basket I'd like to call the PCT in which I have deposited all of my eggs. I canceled my spot in the London trip (it was really sad to tell the teens, though I'm happy to report they have been posting pictures of them having a blast nonstop, so all is well) and my cardiologist set up an appointment with a specialist in Reno quickly. The specialist spoke with me for a bit and then said "You're 29 years old. I'd rather not put a pacemaker in you right now. Let's see if we can't monitor this for a while. Increase your sodium intake to raise your baseline blood pressure, stay hydrated, and avoid triggers." "Should I faint, is it possible my heart will not start up again?" "No." he replied, "Your heart will always start up again." With that question answered, I began to inquire as to his thoughts regarding the PCT. As a doctor he said he couldn't recommend it, but as I protested and explained my triggers (knock on wood) have never once been running or hiking or anything outdoors, he acknowledged that I know my body best and was happy to hear I had taken some precautions such as purchasing a satellite emergency device. My biggest challenge in life at this point is integrity...I need to be honest with myself about what I want out of this life, and stop choosing paths that cause resentment. I need to be honest with myself about who I am and start living that way. When the thought occurred to me that I may not be able to complete or even begin this trip, one of the first thoughts that came to my mind was "I've already told so many people and made the boxes and started the blog". I voiced this fear to my friend Casey who responded "Dana! Who cares? Your true friends love you and want you to be happy whatever that looks or doesn't look like. Stop living for Facebook!" I'm ashamed to admit that so many of my choices are pushed and motivated by that little nagging voice in my mind that always pokes and prods, "What have you done lately to prove to the world that you matter? Are you capable of being desired, of being loved? Are you capable of loving? What do you have to show for your time? Are you enough?" A friend of mine, Ash Mae, recently suggested that shutting this voice out completely doesn't seem to work, nor does surrendering to it. We are to make friends with this voice, to engage in dialogue instead of simply hearing and responding. This voice is not out to get us, it's trying to protect us because sometimes we're afraid. Sometimes I am afraid that I don't matter. Sometimes I am afraid that I am single not simply because that is the state of things, but because there's something in me that is broken beyond fixing. Sometimes I am afraid that I will squander years and energy and talent and emerge at the other end with nothing but countless and haunting "what-if's". And yet, I believe in a world where these questions are swallowed up in a perfect love. I believe there is a place and I've seen it in my dreams, where we don't live for honors or status or money or facebook. A place that is white and quiet, by the sea. Where all of our fears and pains (whether of a first world or a third) are consumed in a beautiful truth beyond language. When I am in temples and mountains, I believe in this place. I should like to keep on trying to learn how to live for that world while living in this one. And that hope is enough to bring me to tears. It's quite possible my fears and insecurities may never leave me, but it does not mean they must rule me. Weaknesses are not the end, but the beginning. I went through a brief period where I was ready to call this trip. I went out to Utah for some friendship and solace. Hiking in the rockies with friends, I took a moment and remembered "Gosh. I love this. I just love this." and I do, regardless of what it says or doesn't say about me. 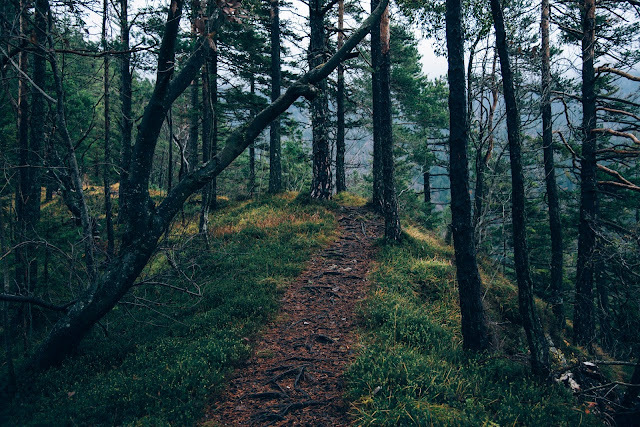 So I'm going to start this trail on Sunday [June 14, 2015], giving myself permission to stay on it for as long as it is useful and helpful to my soul. The moment I feel that it is time to leave, even without plans or anything "better" to do, I give myself permission to leave. I may be on it for a week I may be on it for four months. The PCT has already changed my life, and I love her for it." Dana is probably out on the trail as we speak, enthralled by the joy of living one's dream despite all the odds. I have so much to learn from her. ++ To read the full post and follow her blog: Click here.